Sakhi, is a Not for Profit Organisation which works in the interest of women from the weaker section of the society, giving them vocational training in handicrafts with an objective of empowering women to live a respectable life with sufficient earning. Jeevana Sravanthi Drought Association is working on Gender equity because there is a big difference and inequality between men and women. Educate a man; you educate a man. You educate a woman; you educate a generation. Deepalaya strongly believes that women should have equal socio-economic, cultural and political opportunities as men. With this ideology in mind, a successful attempt was made to achieve a 50:50 ratio for both genders at all our formal schools. 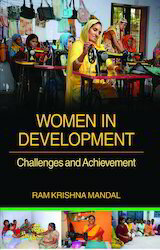 Women’s empowerment has become an important topic of discussion in development and economic. Many top-level NGO’S in India working exclusively for women’s right by uplifting the status of women in India as compared to the ancient times. - Women need money and self confidence, to be empowered. For this many of the women do business from home along with their house management. We help these women to showcase their products in our Diwali and Teej Melas. This gives them good publicity and enhances their business.